In order to renew your membership you must sign in to the website and renew. Click here to reset your password if you've forgotten your credentials. Your Username will appear on-screen during the password reset process. 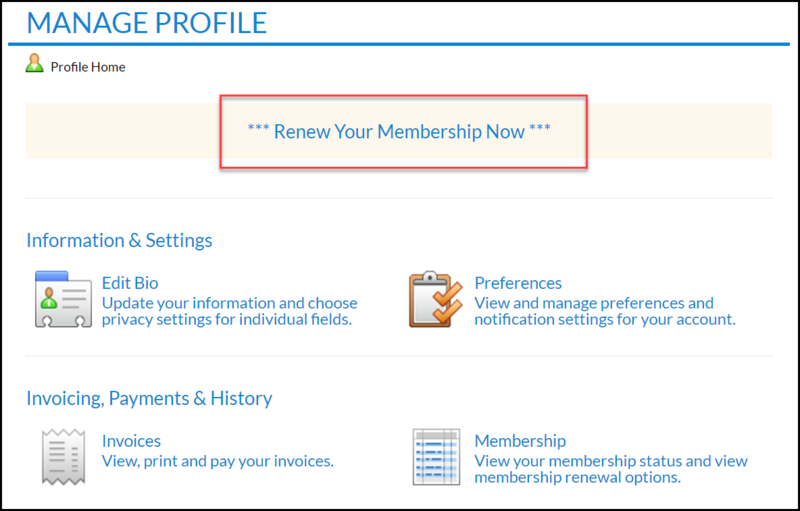 Click on Renew Your Membership Now and follow the prompts for renewing your membership.